[S275] Frederick Humphreys, Humphreys, Page 525. Army Gen. Tommy Franks, the commander of the U.S. forces in Afghanistan in 2001, went to the same high school in Midland from which Laura Bush had graduated. [S182] Social Security Death Index (on-line), Ancestry.com, SSDI, Ancestry.com, SSAN 454-01-1500. Barbara Pierce Bush was born on 25 November 1981 at Baylor University Medical Center, Dallas, TX. 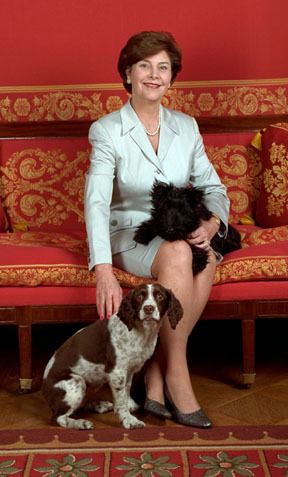 She was the daughter of President George Walker Bush and First Lady Laura Lane Welch. 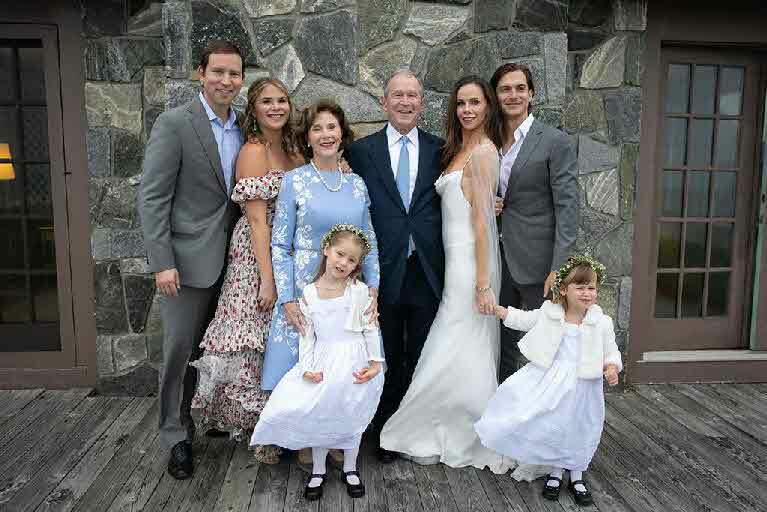 Barbara Pierce Bush married Craig Louis Coyne on 7 October 2018 at Walker Point Compound, Kennebunkport, York Co., ME. 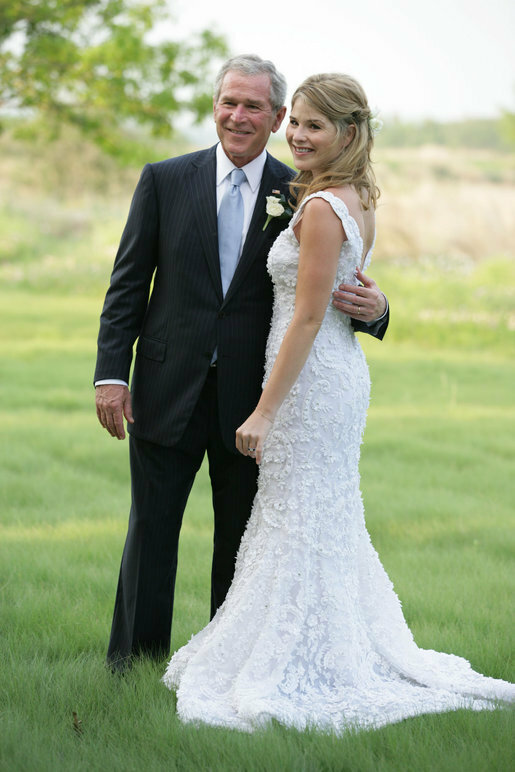 Jenna Welch Bush was born on 25 November 1981 at Baylor University Medical Center, Dallas, TX. She was the daughter of President George Walker Bush and First Lady Laura Lane Welch. Timothy Bush Jr. married Lydia Newcomb, daughter of Daniel Newcomb and Elizabeth May. Lydia Newcomb was the daughter of Daniel Newcomb and Elizabeth May. Lydia Newcomb married Timothy Bush Jr.
Child of Lydia Newcomb and Timothy Bush Jr.
Daniel Newcomb married Elizabeth May, daughter of Hezekiah May and Anna Stillman. Alfred William Phelps died at his residence in New Haven, August 9th 1896. He was born in Hebron, Connecticut, July 12, 1818. His father was Erastus Phelps, a Revolutionary soldier. Two uncles of Mr. Phelps, brothers of his father, also served in the war of the Revolution. Mr. Phelps removed to New Haven in 1837, and then learned the trade of carpenter. He was one of the founders and for many years president of the Mechanics' Lyceum in New Haven. In 1841 he became a member of Harmony Lodge, No. 5, Independent Order of Odd Fellows, of that city. He passed the chairs and entered the Grand Lodge and became grand master of Connecticut in 1871, and was grand representative to the Grand Lodge of the United States in 1872 and 1873. He became a member of Sassacus Encampment, I.O.O.F, in 1852, and later became a member of the Grand Encampment. He represented New Haven in the state Legislature in 1867 and 1868. In 1843 he married Mary A., daughter of Reuben Bunell and sister of the late H. H. Bunnell, of New Haven, and had seven children, two of whom are living. [S294] Publications Committee, SAR CT 1895-96, Page 584. [S135] Judge Oliver Seymour Phelps Phelps Family, Page 703. [S135] Judge Oliver Seymour Phelps Phelps Family, Page 398, # 1564..
Belle Mertie Holcombe was born on 23 December 1899 at DeWitt, Clinton Co., IA.1 She was the daughter of Frederick Charles Holcombe and Mary Vaughn Parrish. 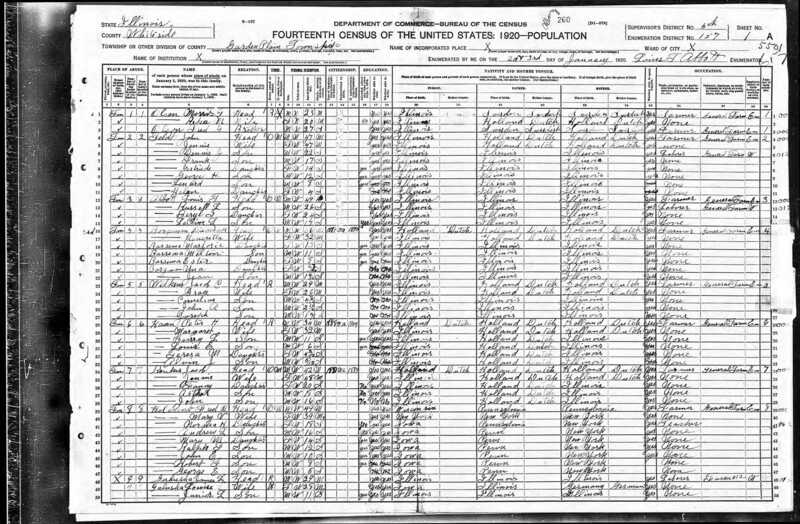 [S35] 1900 Federal Census, unknown repository address, Year: 1900; Census Place: De Witt, Clinton, Iowa; Roll: 426; Page: 11A; Enumeration District: 0020; FHL microfilm: 1240426. Ancestry.com. John Henry Pattengill was born on 3 July 1859 at NY. He married Luella Douglas, daughter of Lyman Douglas and Lois Lavinia Holcombe, on 20 July 1898 at Williamston, Ingham Co., MI. John Henry Pattengill died on 4 July 1901 at Meridian, Ingham Co., MI, at age 42. Child Phelps was born between 1642 and 1644. Child Phelps was the child of George Phelps and Phillury Randall. Child Phelps died in 1647. William Augustus Muhlenberg Wainwright died at his home in Hartford, September 23, 1894. He was born in New York city August 10, 1844, and had attained his fiftieth year. He was the youngest of the fourteen children of Jonathan Mayhew Wainwright, Episcopal bishop of the diocese of New York, whose wife as Amelia Maria Phelps, a daughter of Timothy Phelps, of New Haven, and granddaughter of Judge John Phelps, of Stafford. Bishop Wainwright was ordained a priest in Christ Church, Hartford. Dr. Wainwright was named for Rev. William Augustus Muhlenberg, the philanthropist, who founded St. Luke's Episcopal Hospital in New York city. He was prepared for college in New York and entered Trinity College in 1860, and was graduated in 1864, taking the degree of Bachelor of Arts. After his graduation he returned to New York and studied medicine under Drs. Henry B. Sands and Alexander Hosack and was also a student at the College of Physicians and Surgeons, from which he was graduated in December, 1866. He at once entered the New York Hospital, although for a short time in 1865, he was attendant at the Hartford Hospital. In the earlier part of 1867, he was given his diploma and then served for two years in the New York Hospital. He went to Hartford in the spring of 1870 and began practice there, where he afterwards resided. In 1872, he was chosen an attending physician and surgeon at the Hartford Hospital and has been intimately connected with that institution since, of more recent years as a visiting surgeon. Four years ago he was elected a member of the board of medical visitors of the retreat for the insane. For ten years he was assistant surgeon of the 1st company, Governor's Foot Guard. He was medical supervisor of the State Mutual Benefit Life Insurance Company of New Jersey, the United States Life Association of New York and the Union Mutual Company of Maine. He was a member of the American Medical Association, and the State Medical Society, and on the occasion of the one hundredth anniversary of the Hartford County Medical Society he was its president. He is the author of many papers on medical and surgical subjects, and at the centennial celebration of the Connecticut Medical society read a paper on "Medico-legal aspects of Chloroform" which caused considerable discussion, and was regarded as a particularly able treatise of the subject. Dr. Wainwright was a member of St. John's Lodge, A. F. and A. M.
In church work Dr. Wainwright was particularly active. He was a communicant of St. John's Church for thirty years, and had been a vestryman for a score of years or more. In 1893 he was chosen president of the Church Club of Connecticut, and in 1889 and again in 1890 was a delegate to the general convention of the church. He had been a trustee of Trinity College since 1887. On January 14, 1869, Dr. Wainwright was married to Helena Barker Talcott, daughter of Thomas Grosvenor Talcott, for many years a well known resident of Hartford. Eleven children were born to them, but only four survive-two sons and two daughters-Mabel Wyllys, Jonathan Mayhew (who is a student at Trinity College and paymaster of the 1st regiment C. N. G., with the rank of Lieutenant), Elizabeth and Philip. As a physician and surgeon Dr. Wainwright stood at the head of his profession. He was a man of splendid physical development and notable masculine beauty. Dr. Wainwright's position among Hartford people was firmly established and diversified. He was a leader in many interests, and socially he was a representative of our best culture. Able, active, well-educated, of courtly manners and popular with his friends, he brought to his profession, to his church work and the various organizations with which he was connected, social, military and philanthropic-sound learning, good judgment, superior executive ability, love of progress and true liberality of opinion. Dr. Wainwright was always a "good citizen" of Hartford-interested in its development, ever willing to aid in public improvements, a cheerful giver to every worthy object, a helper with his pen and personal work, as well as with his purse. "As I have thought of the friend who went from us since last we met here, of his life, his pathetic, yet calm and heroic trust and courage, I have thought also of his life and the lessons he teaches us. I do not forget the depths of his manly tenderness that shone forth in life and death, nor the unfailing consideration for others. These are all known and lovingly dwelt upon. None who ever came in contact with that life will ever forget them. "But of the highest sense of honor, both in professional and home and social life, of the scorn of shams, of the appreciation of what was good and true, of righteous living, who can speak as he would like to speak? As on a rock he stood, with his eye set and heart set on what was right, manly and noble, and when he came to die, it was his strength, modest and yet self-reliant, honorable and yet merciful in his nature, strong and yet tender, brave and yet pitiful, his was a character that we will treasure ling in our loving memory. "That scene, last Thursday, when he was carried away from the church he loved and for which he willingly labored, and whit that marked success that attended all his work, will be log remembered. On the first Sunday of this month he knelt here for his last communion. Writing to a relative a few lays after, he said: 'You, last Sunday, were in --- worshipping in your own church, and I was in dear old St. John's, enjoying a service in the same old and well known way in which we wee brought up.' That church, filled with men and women of all classes and conditions, from the highest to the lowliest, told of how his character and life had so nobly discharged its missions. As one stood and saw how that large number of men and women poured forth and took each a silent glance of his face, how his life had reached and helped so many; never any parade, rather a shy hiding of his feelings and his benefactions to others. None ever began to know how much he had done in his faithful service unto others, until it was known he was gone. To-day, as a people, whether in this parish or in this community, we are poorer for the loss of this noble and faithful life, as we are richer when we tell and hear of his deeds and dwell in loving thought on his character. "Many things will linger long among us of the strong life just gone; many tributes to his memory, told from all conditions of society by those who knew and were helped by him. The two things which will stand out as clearly, if not more so than others, will be the unfolding record of his quiet life of goodness, and then the high and noble way in which he lifted the ideal of his profession. In the first, how many have told of deeds and scenes which showed how quietly and so beautifully he carried out the spirit of his Master of doing good to others. Tender, considerate, thoughtful, how like a truly brave man he stood at his post of duty. Then who, more than he, showed the dignity, worth and power of his profession? "A Christian doctor has within his reach such usefulness for doing good as has no other man in a community. How well he used them --- with consummate skill, with keen penetration into causes and forms of disease, with the tenderness of a woman, and deep sympathy of a strong man, with a consideration for the sufferer and for his family which took in all things, how he made his calling seem nobler and raised it to the highest uses. "I could say more, for the last hours, so sacred to those who were privileged to see them, would only fill the soul with deeper thoughts of his strong and brave life and death, but over them must be drawn the veil of silence. But as I stand here to-day to give in these imperfect words, some tribute to his memory, I think what an example he sets for all men to stand firm and true, to be tender and merciful, to be full of loving service unto others, but above all to be true, to walk in the ways of righteousness, for that will bring a man peace at the last. "When sounds and lights of earth are fading and the soul catches those of that distant but longed-for land, may we meet it as he and others met it, who suffered and were tried, and were faithful to the last. "No nobler guerdon can come to the true warrior, the faithful servant, the man of righteousness, the child of God, than the fulfillment of the dear Lord's own words of promise. 'Then shall the righteous shine forth as the sun in the kingdom of their Father.'" Dr. Wainwright was admitted to our society February 18, 1891, as great-grandson of John Phelps of Stafford, twice appointed on a committee to furnish arms and ammunition during the Revolution, and who also from his foundry cast cannon and balls. In Dr. Wainwright ran some of the best blood of American ancestry. He was a descendant of Thomas Mayhew, a resident of Watertown, Massachusetts, in 1636, and governor of Martha's Vineyard; of the Rev. Experience Mayhew, his son, the noted missionary to the Indians; and of the later's son, the Rev. Jonathan Mayhew, pastor of the West Church in Boston, who, with James Otis and Oxenbridge Thacher, struck the sparks which kindled the fires of the Revolution. He was the great-grandfather of Dr. Wainwright. John Adams said of him: "He is a Whig of the first magnitude, a clergyman unequaled by few of any denomination for piety, virtue, genius or learning; whose work will maintain his character as long as New England shall be free; integrity esteemed, wit, spirit, humor, reason and knowledge admired." Robert Treat Paine said of him, "he was the father of civil and religious liberty in Massachusetts and America." It was Dr. Mayhew who, in a letter dated June 8, 1766, suggested to James Otis the importance and efficacy of committees of correspondence between the colonies. One month later---July 8, 1766---he died, as says his tombstone, "overplied by public energies." His age was 45. [S294] Publications Committee, SAR CT 1895-96, Page 592. [S135] Judge Oliver Seymour Phelps Phelps Family, Page 304, # 2429. [S275] Frederick Humphreys, Humphreys, Page 467.